Chatbots are coming to digital marketing, and they're also shaking up the agency-brand relationship. Since it starting using Slack in April 2014, digital shop R/GA has gotten 1,500 of its 1,800 staffers across 15 offices on the project-management platform. Meetings at the agency have decreased by 30 percent thanks to the collaboration software, and R/GA says teams are able to make decisions 30 percent to 40 percent faster when clients, including brands, comunicate regularly via Slack. "There's this ecosystem of all different services, bots or integrations that you can plug into Slack. That makes it pretty different from other collaboration platforms," said Nick Coronges, R/GA's chief technology officer. "Because you're getting so much more done through this instantaneous messaging, there's less of a need to have very frequent or daily check-ins where you sit down and go over what's going on." R/GA built a Slack bot that plugs into the agency's directory of names. Staffers can ask the bot to search for people by name, skill set or experience when staffing a project. Each office has its own Slack channel that any staffer can drop into to see what colleagues are working on, and there are also subject-matter channels where people can learn about new technologies like virtual reality. "There is a VR channel where people across the entire company can learn about what each other are doing in VR," Coronges said. Tominaga also created Bluetooth-enabled hairpieces that lit up whenever someone sent an emoji to a Slack channel during the agency's holiday party last year. R/GA also sets up private channels it uses to message back and forth with clients and outside companies collaborating on a project. Brands in particular are notorious for not embracing change, but Coronges said R/GA's clients are increasingly using work-management platforms on their own. "Because Slack has done such a great job in marketing the platform and the product, it has reached a tipping point with brands," he said. 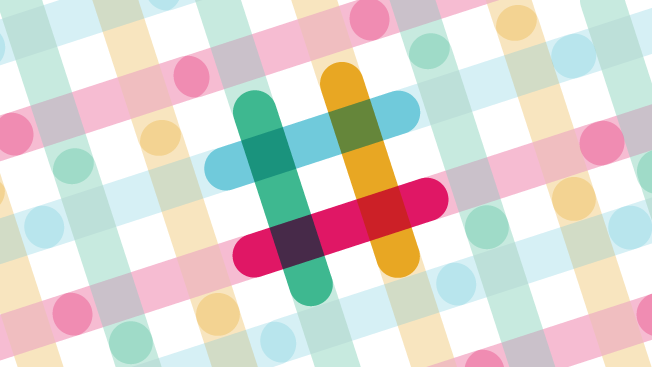 "I'd say [it's] surprisingly common that the brands themselves are using Slack. Either they have an instance of Slack that we'll plug into or we have an instance of Slack that they'll plug into." Of course, changing the culture of a big agency is a tough mandate, but Coronges said R/GA stuck with Slack because it can plug into a slew of other services. "Because the [user interface] was really well thought out, we were able to get broad adoption outside of technology, so we were able to bring in designers, strategists and producers who also loved using Slack," he said. That doesn't mean Slack has completely replaced face-to-face meetings. "There's huge value in face-to-face communication, and we spend a lot of time collaborating together in rooms with whiteboards, but those meetings become more impactful [with Slack]," Coronges said. While Slack is more established—Ogilvy, AKQA and IDEO are among those also using it—other agencies like Weber Shandwick are plugged into Facebook at Work, the social network's collaborative platform. Weber Shandwick recently finished onboarding 3,500 employees to make tasks like document sharing and real-time editing easier. And as more brands like Taco Bell, Sephora and H&M build bots that talk to consumers, the move toward using bot platforms like Slack and Facebook at Work also gives agencies a bit of hands-on experience. "There's this culture and technology moment where these conversational interfaces are going to be much more widely accepted," Coronges said. "It's going to change how all enterprise services think about creating a bot. [Brands are] just now figuring out how to build and deploy mobile apps, and now what they're going to be doing is figuring out how to deploy those same services through conversational interfaces with bots."